It was an absolute pleasure working with Paulo and his team. From the initial visit to the final product, we were over the moon about our entire experience with Pure Kitchens Inc. Paulo is incredibly skilled and detail oriented and has an amazing way of taking a description of what you'd like, and turning it into a reality. The only difference being that what you get is even better than what you hoped for. 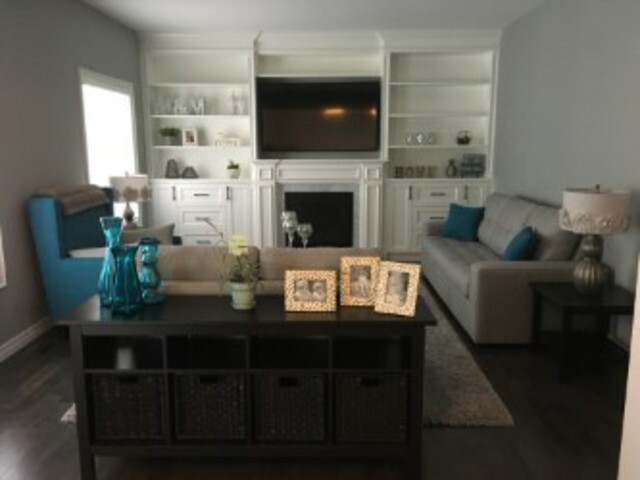 When Paulo's team came in for the installation of our family room built-ins they were tidy and efficient and made sure to pay attention to every single detail. The installation was truly flawless. 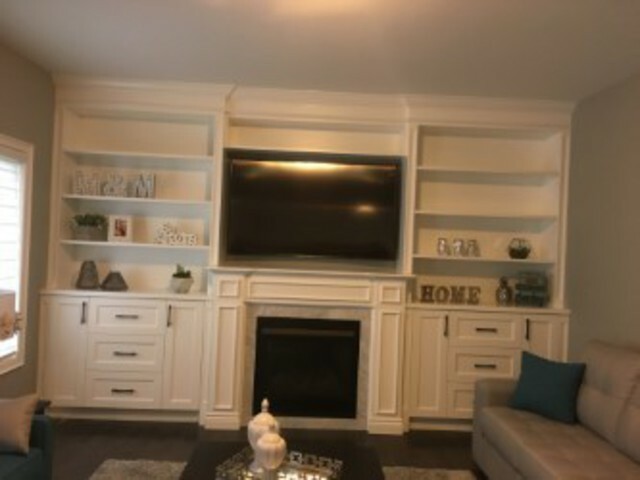 We have had several family members and friends see the work done on our family room and every single one of them has commented on the craftsmanship and quality of the built-ins. Many have asked for contact information for different projects they would like to do. In fact, we have also had Paulo come back for two more projects we will be doing in the future. It is without hesitation that we recommend Paulo and Pure Kitchens Inc. for anything you need done in your home. Thank you so much for your kind review! It was a pleasure working with you. 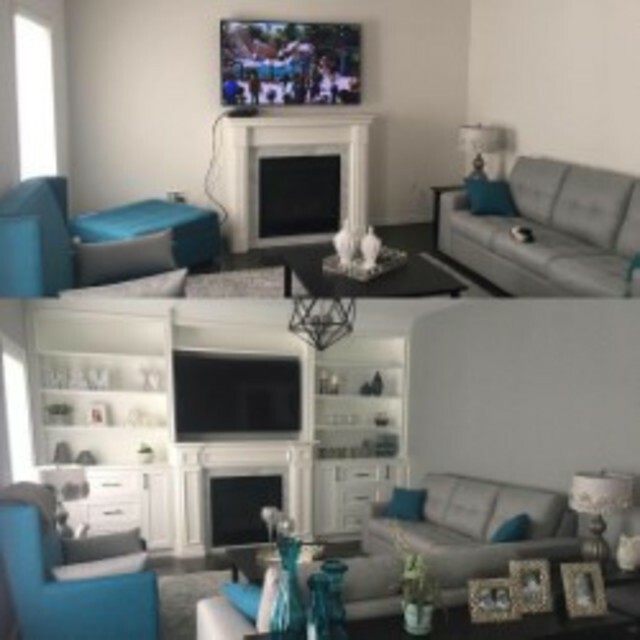 We loved bringing your idea to life and helping you create a sanctuary in your home. Thank you for entrusting us with your project! I recently had Ivano come to my new home to give me an estimate on shutters and blinds for my entire house. I was immediately impressed by his professionalism and knowledge, and I knew I was in good hands when he even made personal recommendations for what would look best in my space. He was an absolute pleasure to work with. By the end of our visit I was confident that I would be purchasing shutters and blinds from New Image Group and I was confident (and excited) about my decision. Ivano was very flexible with the date for installation and he even called beforehand to make sure our appointment date and time was still on schedule. I was very impressed by his organization. Ivano arrived on time and was very efficient during the installation process. The shutters and blinds looked phenomenal when they were done, and we are so happy that we made the choice to purchase from him. We will definitely recommend Ivano to family and friends. In fact, Ivano was recommended to us by family members and we will continue to pass his name along to others. Hi Marilyn , thanks for the great review , your home looks beautiful with the new shutters and Mandalay shades , I'm happy we did the patio door in the Mandalay , looks awesome !!!! please keep passing my name along to your friends and family .